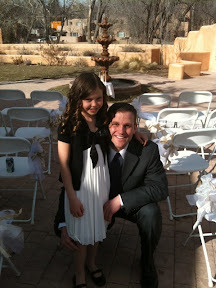 Here's Kyle holding my little Emmalie just before the wedding. We had a blast at the reception. Now we are getting ready to drive back to Denver.